The 80th annual WSO convention will take place from Friday, May 24 through Monday, May 27, 2019, at the River Prairie Center in Altoona. The River Prairie Center is only minutes from downtown Eau Claire on a beautiful bend in the Eau Claire River. Our local co-host for the event is the Gaylord Nelson Audubon Society. The convention will open on Friday with registration check-in, a welcome picnic and the annual Passenger Pigeon awards ceremony and reception. Saturday begins with early morning local field trips, a noon luncheon, the annual WSO business meeting, afternoon presentations and an evening social hour and banquet with keynote speaker. Sunday features all-day field trips and an optional evening “Birds and Beverages” gathering. The convention concludes with additional field trip options on Monday morning. The emphasis at this time is on lodging. Individuals are responsible for making their own reservations. Rooms are on hold at two hotels for Friday, Saturday and Sunday nights on a first come first served basis. Please note that you do NOT have to book all three nights for the special rates. 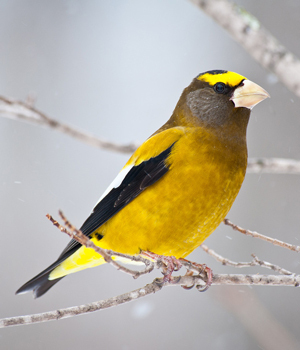 Mention “WSO” or “Wisconsin Society for Ornithology” to obtain the reduced rate. Holds will be released and normal rates will apply after April 23. Staybridge Suites (715-830-0800). Studio suites (one queen bed and pull-out sofa) at $104.95 per night plus tax for up to triple occupancy. Located within walking distance (about one block) of the convention site. Holiday Inn & Express (715-723-4654). King and double queen rooms at $114.95 per night plus tax for double occupancy. Located about seven miles from the convention site. On-line and mail pre-registration for the convention itself will begin on March 1 and continue until April 30. (Please note that this is an extension from the date published previously. Questions? Contact Dar and Cathy at woodwarbler49@gmail.com or 920-997-9418. The River Prairie Center is located in Altoona, on a beautiful bend in the Eau Claire River.